The Boston Celtics will be without one of their best defensive players to start the playoffs. 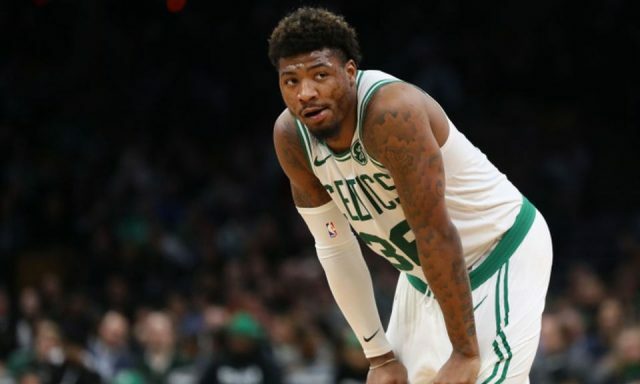 Marcus Smart went down with what was originally thought to be a minor contusion on April 7, in a game against the Orlando Magic. That injury turns out to be a torn left oblique, and he will miss extended time per ESPN’s Adrian Wojnarowski. Smart’s absence likely means more pressure on Jaylen Brown and Terry Rozier, who will have to share his workload of 27.5 minutes per game. The 6-foot-4 point guard was averaging career highs in both field goal and three-point percentage, at 42.2 and 36.4 respectively.